Seventy-five percent of processed foods on supermarket shelvesÃ¢ÂÂfrom soda to soup, crackers to condimentsÃ¢ÂÂcontain genetically engineered ingredients. The long-term effects of these foods on human health and ecology are still unknown, and public concern has been steadily intensifying. Will GM food really solve world hunger? Why is it so difficult to get GM foods labeled in the US? What kinds of regulations and policies should be instituted? How is seed biodiversity, of lack thereof, affecting developing countries? Should animals be genetically modified for food? How are other countries handling GM crops? 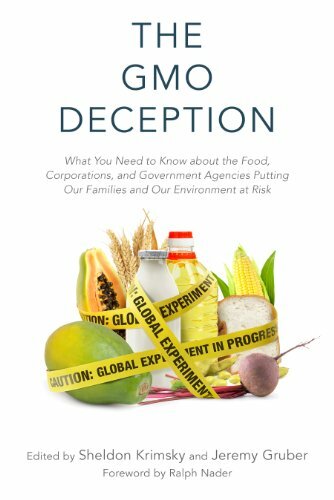 Ultimately, this definitive book encourages us to think about the social, environmental, and moral ramifications of where this particular branch of biotechnology is taking us, and what we should do about it. About: Seventy-five percent of processed foods on supermarket shelvesâfrom soda to soup, crackers to condimentsâcontain genetically engineered ingredients. About: Seventy-five percent of processed foods on supermarket shelves—from soda to soup, crackers to condiments—contain genetically engineered ingredients.